On the gorgeous, late-summer morning of September 11, 2001, a nation was plunged into despair and fear when terrorists struck America's grandest symbols of economic and military might—the World Trade Center and the Pentagon—and killed nearly 3,000 people. Unfortunately, due to sales rights restrictions, we cannot offer Rubble for sale in your country. On the gorgeous, late-summer morning of September 11, 2001, a nation was plunged into despair and fear when terrorists struck America’s grandest symbols of economic and military might—the World Trade Center and the Pentagon—and killed nearly 3,000 people. Thrown together by fate under horrific circumstances, the victims’ families rose from the rubble of their decimated lives, rebuilt, and banded together to become an irresistible political force unprecedented in American history. Bob Kemper, an award-winning reporter for more than twenty-five years, first met the families of 9/11 shortly after the attacks. As the White House correspondent for the Chicago Tribune, Kemper was one of the few reporters to spend the day after the attacks at President George W. Bush’s side. From the inside, he watched the White House try repeatedly to thwart the families’ push for an investigation and witnessed firsthand the power of ordinary people who did not give up. They compelled Congress to investigate the catastrophic failure of America’s national defenses, helped reshape the nation’s intelligence network, and changed the way the United States combats terrorism. 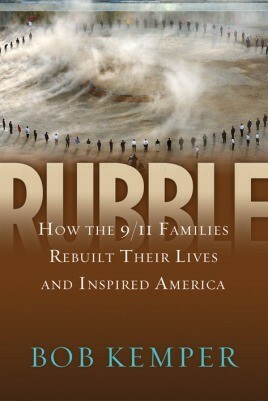 In Kemper’s capable hands, the ten-year struggle of the 9/11 families comes alive in a way that readers will never forget. It is a story about the resilience of the human spirit, the gutdriven determination of those demanding to know why their loved ones died, and the travails they suffered, alone and together, while pressing for answers.